Here's a look at the life and legal career of Circuit Judge Karen Gievers in Tallahassee. 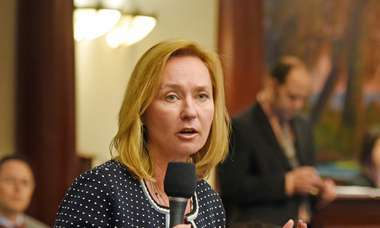 Karen Gievers has been on a legal roll of late, as high-profile cases keep randomly finding their way to this circuit judge in Tallahassee. She ruled that Floridians have the right to smoke medical marijuana — a defeat for Gov. Rick Scott, who's appealing. She refused to dismiss a legal challenge to Scott's blind trust in another setback for the governor, who's asking an appeals court to toss the suit. 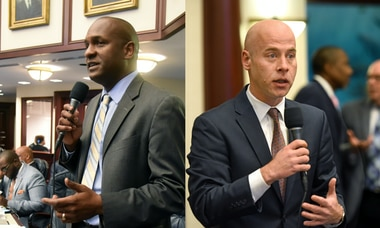 Earlier, Gievers handed a defeat to House Speaker Richard Corcoran, when she threw out his "facially defective" subpoenas of a Visit Florida vendor's business and tax records. That was after she approved Corcoran's lawsuit accusing the state lottery of illegally extending a contract. She even had a case in which the state broke leases to flee a bat-infested office building that workers claimed made them sick. A long-time child advocate in Miami, Gievers, 69, spent years battling the state over a deficient and underfunded system that kept foster children in state care too long. A judge had appointed the Miami lawyer to represent six siblings, which became a class action lawsuit. She was a Democrat taking on Democratic bureaucrats and politicians and won the backing of the Florida Supreme Court in a budget crisis early in Lawton Chiles' career as governor. She was the first woman president of the Academy of Florida Trial Lawyers, and was president of the Miami-Dade Bar Association in the year following Hurricane Andrew in 1992 when many people desperately needed pro bono legal help. As a lawyer, she grew frustrated with the snail's pace of justice. 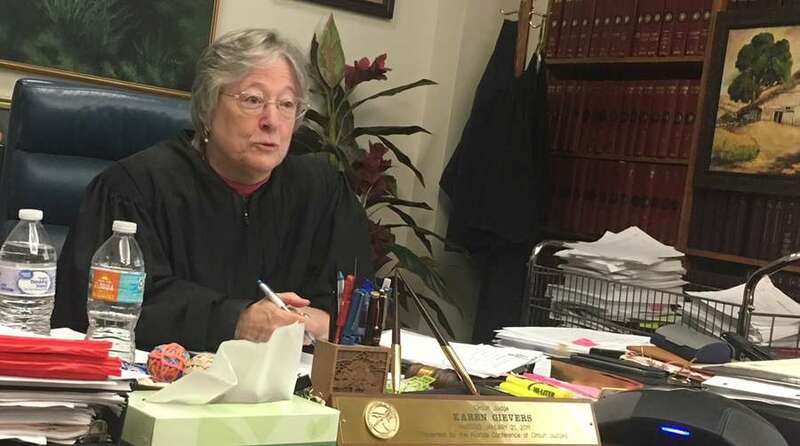 As a judge, she manages about 600 cases and tries to keep dockets moving, working from a third-floor office in the Leon County Courthouse that's filled with artwork and souvenirs of a long career. "As a trial judge, I knew I had to put into practice what I had been saying all those years," Gievers said. In her chambers this week, she prodded opposing lawyers to keep talking in a routine car accident case that's months from trial. One of the lawyers, Cindy Massion, told Gievers: "I don't want to be in here begging for a continuance because I know the court doesn't like that." Massion said her son once appeared before Gievers as a juvenile, but that the judge probably didn't remember. Gievers didn't. "She handled it very professionally," Massion said. U.S. District Judge Mark Walker, a former circuit judge who worked side-by-side with Gievers for two years, recalled her reviewing hundreds of pending cases when she was assigned to probate court. "She's a workhorse. She's tireless," Walker told the Times/Herald. "There's no way grass is going to grow under a case Judge Gievers has got." Gievers twice sought high office and lost. She ran statewide as a Democrat for secretary of state in 1998 against Katherine Harris, and for insurance commissioner in 1994 — against a guy named Bill Nelson. Gievers framed the Nelson race as a choice between "a career politician (sound familiar?) who is used to taking money from special interests he regulates and a consumer advocate who will stand up for the people." The editorial boards liked her more than voters did. She moved from Miami to Tallahassee following the second race after her law office flooded out, set her sights on a judgeship and won, and is now registered NPA or no party affiliation. Born in the movie-making town of Culver City, Calif., where Gone With the Wind was filmed, Gievers grew up a baseball fan. Walter O'Malley had just moved the Dodgers from Brooklyn to Los Angeles. She kept statistics on Dodger players and worked as an "usherette," as they were called then, at the old L.A. Coliseum, where she had a perfect vantage point right behind the play-by-play man Vin Scully. "I can tell you how many bases Maury Wills stole," she said (104 in 1962). That led to more ushering work, where she saw the Beatles and met UCLA basketball legend John Wooden and Kareem Abdul-Jabbar, then known as Lew Alcindor. "I go a little past his waist," she said. Gievers moved to South Florida when her first husband landed a job at National Airlines in Miami. She had dropped out of UCLA and began her college career all over, starting at Miami-Dade College. In 2010, Gievers replaced L. Ralph "Bubba" Smith Jr., who retired and had been a central figure in the 2000 presidential recount. Voters in six counties re-elected her in 2016 but the mandatory retirement age of 70 has caught up with her and she'll leave the bench in April. "I'm deferring any consideration of what I'm going to do in the next chapter of my life until after I'm done," Gievers said.